What is CRM sales forecasting? When it comes to CRM sales forecasting the rule of thumb is this – the more accurate the information you have, the more you can prepare and plan for the future. However, understanding the past to predict the future is an inexact science. Having access to the correct data is one thing, applying the right methods to extract the correct conclusions is another matter. Using a modern and effective CRM, like Teamgate, can assist in providing you with an accurate, and well-engineered sales forecast. This, in turn, can help you avoid major, and costly mistakes when it comes to planning marketing campaigns, lead gathering strategies, stock control, hiring practices, and the overall management of the entire sales process, and it gives you the ability to correct off-course sales directions faster than your competitors. What happens when you don’t have the ability to forecast for future sales? The answer is simple – bad things happen! Without the in-depth insights which come with CRM sales forecasting your business is wide open to all kinds of catastrophic scenarios. 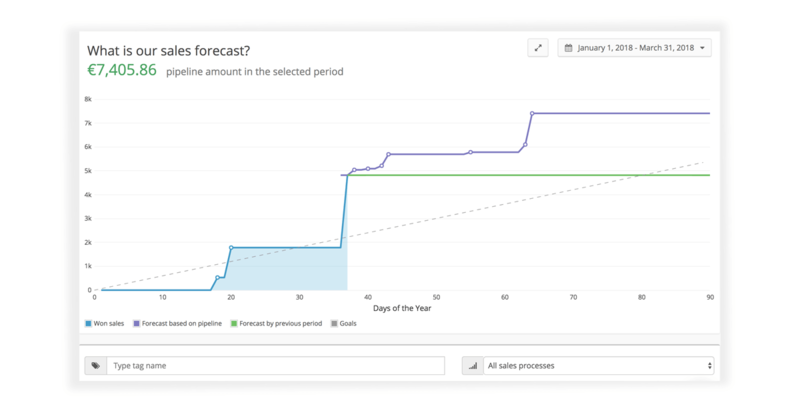 Managing the money – Being able to forecast future sales helps you manage for the future. Will you be in a position to invest further in your business, or is the time coming to tighten the purse-strings. It will also help you to understand better your cash flow situation, and to plan for any future financial shortcomings. Purchase power – Managing stock levels can greatly depend on your ability to create accurate sales forecasts. Creating a CRM forecast will offer you a better insight regarding strategic investment, additional stock purchasing, or increased marketing spend. Plus, CRM sales forecasting can help you picture future economic trends and plan in accordance. Sales forecasting and forward budgeting go hand in hand. Future thinking – Uncertainty in the future restricts your ability to take advantage of changing situations and act faster than your competitors. It can also rob you of the opportunity to expand at just the right time – an opportunity that doesn’t come around too often. We’ve already said it, and we’ll say it again, sales forecasting is not easy. In order to predict trends accurately CRM sales forecasting tools should be part of your business armoury. 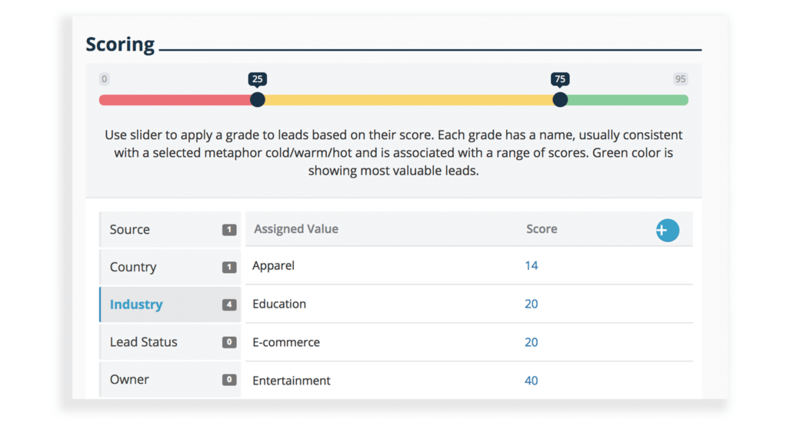 But, in order to engage in accurate sales forecasting, your sales leads needs to be scored using a common ‘criteria’. These scores can then be used to evaluate the likelihood that a lead or a deal will close within the desired time-frame. 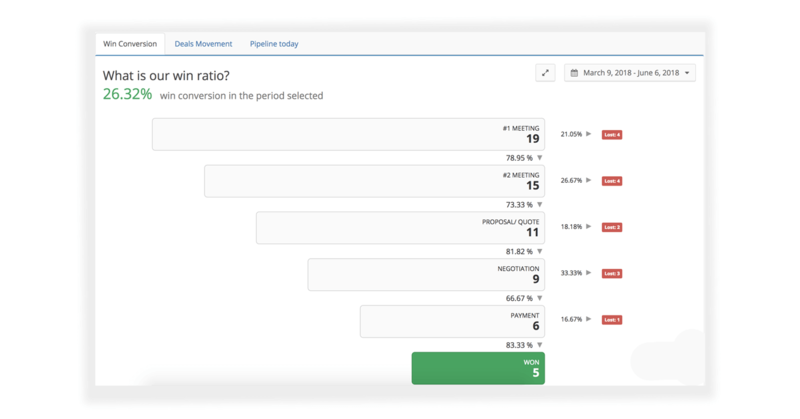 A quality CRM like Teamgate lets you easily appoint percentages to stages directly within the pipeline, making it easy to understand at a glance where every deal sits in the process, and the overall likelihood of conversion. Advantages All new data entered into your sales CRM software goes towards future forecasting. The more information you gather, the more accurate your sales forecasting will be. Disadvantages Without having a clearly defined sales process in place, using your sales pipeline to forecast future sales can prove almost impossible. Referral is placed higher than social media on the list, due to the fact that historically the sales team have closed more deals from referral sources, than from social media sources. If you use source, plus a number of other criteria – ie. company size, number of employees, etc. – you can create an even more accurate method of identifying deals which are more than likely to close, and are therefore more entitled to your time. Advantages Forecasting by sources removes any emotional involvement in the sales forecasting process. All forecasts calculated in your CRM are based on hard facts and reputable data in order to bolster results. Disadvantages If salespeople don’t complete all of the requested data in their sales CRM the results will be inaccurate and only measure certain attributes of the sales process. By far the most difficult method of sales forecasting, but the method which garners the most accurate information. CRM forecasts using regression analysis uses strict mathematical theories and equations to measure covariance and correlation between variables. As complicated as this may sound, accurate record keeping and stringent data entry in your sales CRM is imperative for regression analysis to be really effective. But, once that data has been gathered correctly and entered into your CRM simple mathematical equations can use this data for concise sales forecasting. Most companies can only dream of sales forecasting using this method, however, data collected in your CRM can go a long way towards making this a possibility. Advantages As the forecasting equation is based on a strict mathematical formula, results tend to give more accurate, and more actionable results. Disadvantages The data collected in your CRM needs to be clean, concise, and accurate to formulate accurate results. As with all statistical analysis, the results are only as good as the data entered. Sales forecasting is a complicated process, but a vital one to keep your business moving forward, for allowing you to see opportunities for further investment, and for identifying possible difficulties ahead. An accurate sales forecast process lets you make faster, more targeted business decisions. In order to have the most effective forecasting process possible, attempt to educate your entire sales team in the task of regular, and accurate data collection and update. The more accurate the information you have, the easier it is to future-proof your business. Teamgate sales CRM goes a long way towards allowing you to easily gather the information you need – even automatically – in order to create sales forecasts which can really help you understand your business more intimately. And remember always – forewarned, is forearmed. with the most user-friendly CRM on the market. 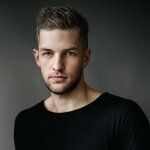 Vytautas is a marketing specialist. A writer by day and a reader by night, he is passionate about helping people in all aspects of technology, sales intelligence, online marketing, and design. Find all the reports and sales analysis Teamgate Sales CRM can offer you. From easily understandable Sales Funnel to accurate Sales Forecasting.